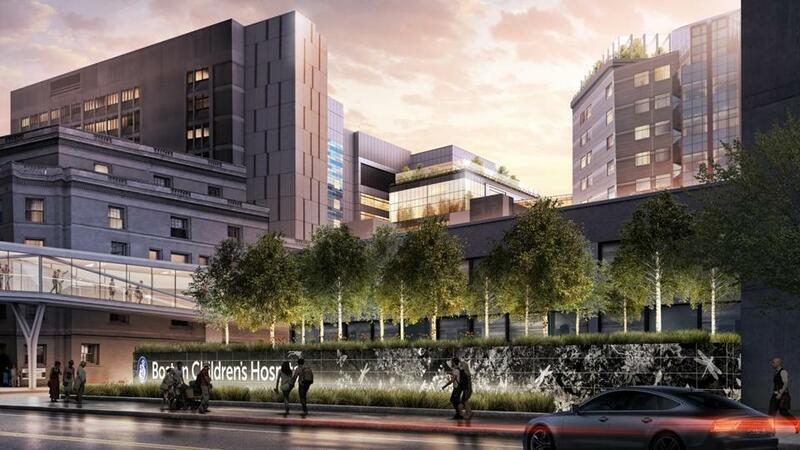 A rendering of what the hospital’s main entrance will look like after its $1 billion renovation and expansion. About 30 projects aimed at helping Boston families with food, housing, and child development are getting a boost from a new donor: Boston Children’s Hospital. Children’s, the region’s largest pediatric medical center, is spending $11 million over the next three years on programs designed to help families affected by racial, ethnic, and socioeconomic inequities, and — indirectly — improve their health. Among the projects: an effort to help tenants avoid eviction, an initiative to help babies develop social and cognitive skills, and a program to educate parents about nutritious foods. The new funding comes amid a growing focus by hospitals on social issues — food, housing, education, and other factors — that can have a profound impact on health. The grants represent the first portion of more than $53 million that Children’s is required to spend on community initiatives as a condition of approval for a more than $1 billion expansion and renovation project underway at the hospital’s campus in the Longwood Medical Area. It is the largest capital project ever approved by the state. The programs are geared toward children and families across Boston, regardless of whether they are patients of Children’s Hospital. In the long run, such programs could make a dent in rising health care costs, many experts say, by helping people avoid medical issues that require expensive hospital treatment. “The goal is really improving child health — not just the health of our own patients, but the health of the community,” said Dr. Shari Nethersole, executive director of community health at Children’s. “If you really are saying you want to improve child health, you need to think about these nonmedical service factors,” she added. Other hospitals in Boston and around the country have been investing more in community programs. Boston Medical Center, for example, where a large share of patients are poor or low income, is spending $6.5 million on housing initiatives. Children’s Hospital, over the next three years, plans to spend $5.5 million on projects targeting childhood development and kindergarten readiness, $2.4 million on food access and physical activity, $2.5 million on housing stability, and about $500,000 on programs that promote financial education and counseling. A future round of grants will support programs that focus on trauma and mental health, hospital officials said. A $450,000 grant from Children’s Hospital will allow City Life/Vida Urbana to hire three additional employees to help families at risk of eviction in Roxbury, Jamaica Plain, Dorchester, Hyde Park, and Mattapan, executive director Lisa Owens said. City Life educates and organizes tenants and helps them stay in stable, affordable housing — a particular concern at a time when real estate development and apartment rents in Boston are on the rise. Another initiative scheduled to receive funding is Boston Basics, a campaign that teaches parents about five basic principles that affect child development in the first three years of life. The first principle: maximize love, manage stress. The goal is to help prevent disparities in skill, which can develop as early as age 2, said Ronald Ferguson, director of the Achievement Gap Initiative at Harvard University, who founded the Boston Basics campaign. The grant from Children’s Hospital will allow Boston Basics to share information with families through staff at community health centers. Ferguson said it makes sense for an organization that works on child development to team up with health care providers.